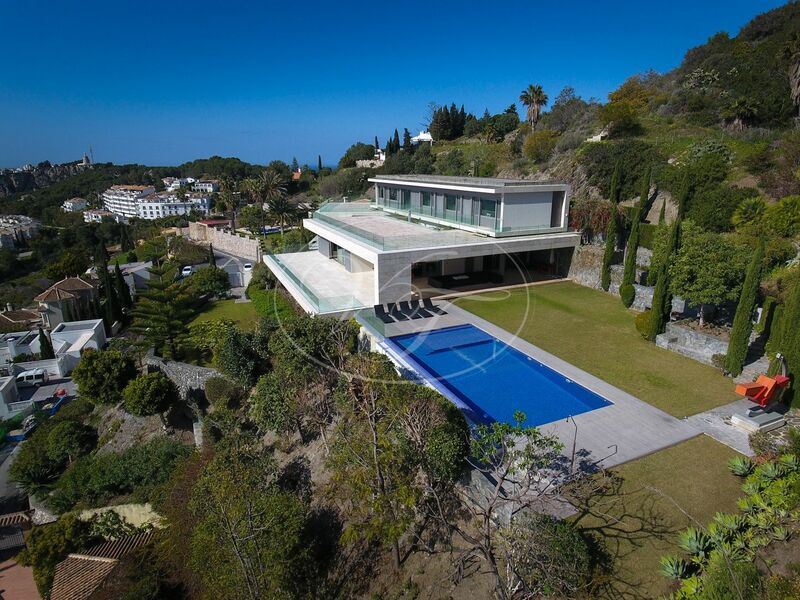 This outstanding contemporary property, in La Herradura, Almuñecar, Costa Tropical, Andalusia, in one of the most prestigious private urbanisation, La Punta de la Mona, has been created using the latest techniques and modern technology, high-end specifications, selection of exquisite materials, luxury finishing and designer fittings that make living here fabulous, safe and comfortable. 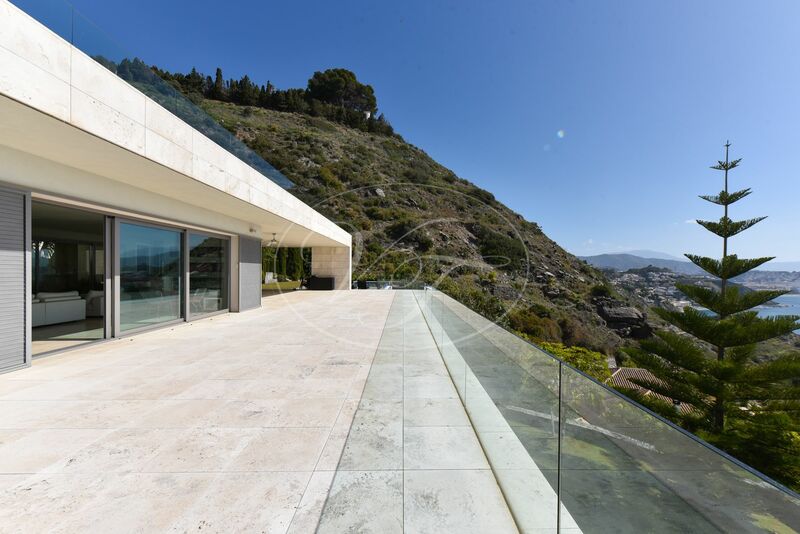 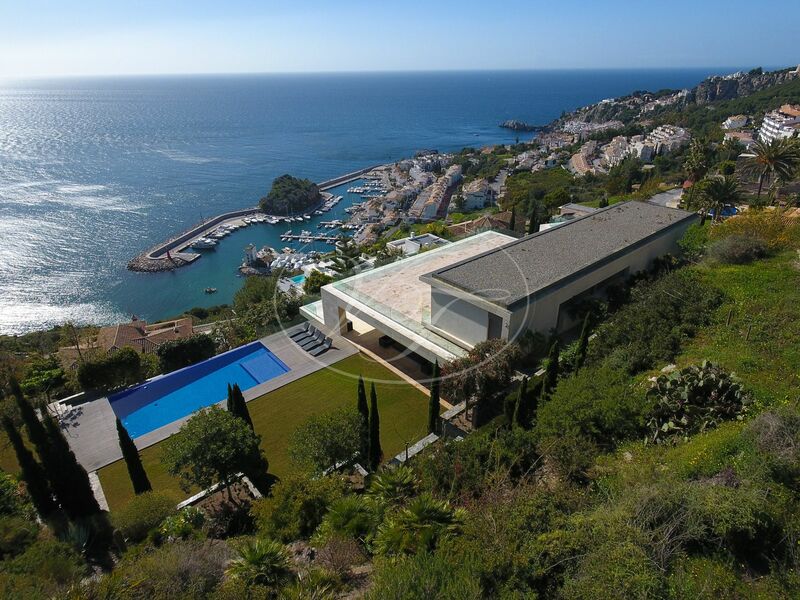 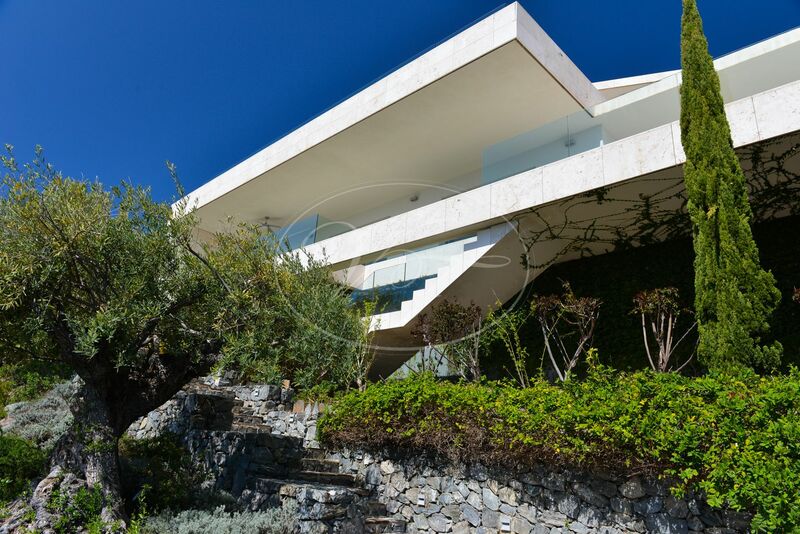 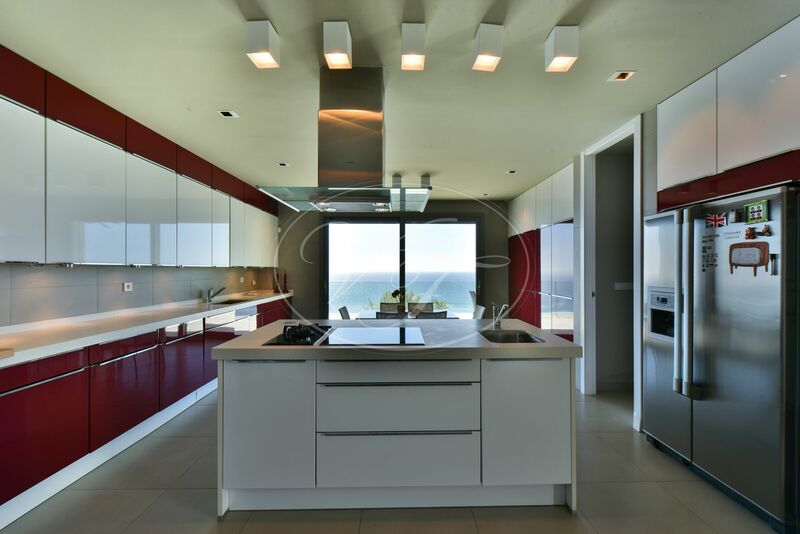 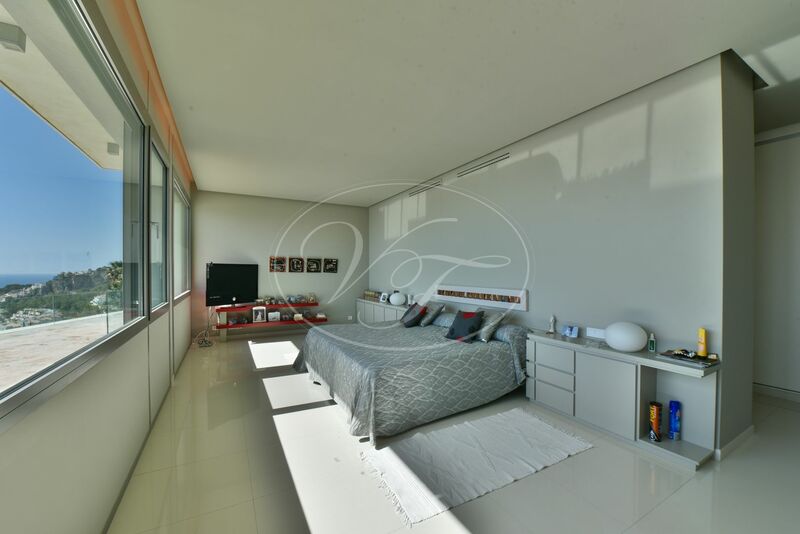 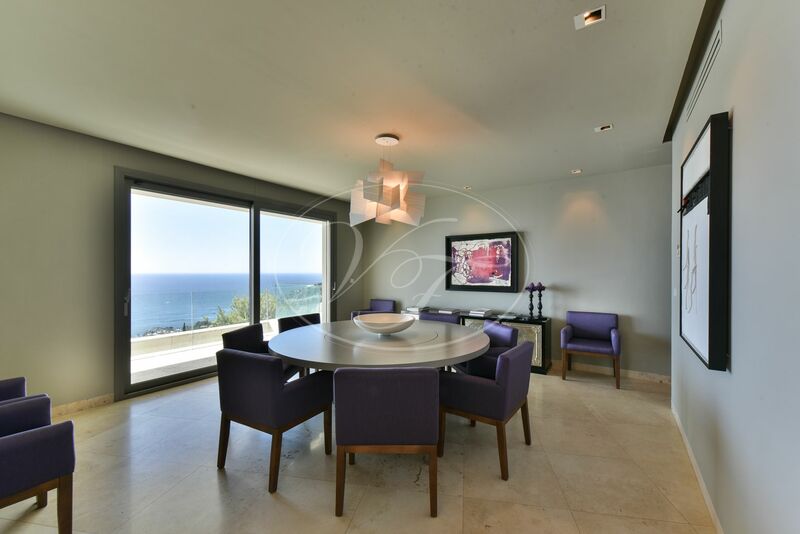 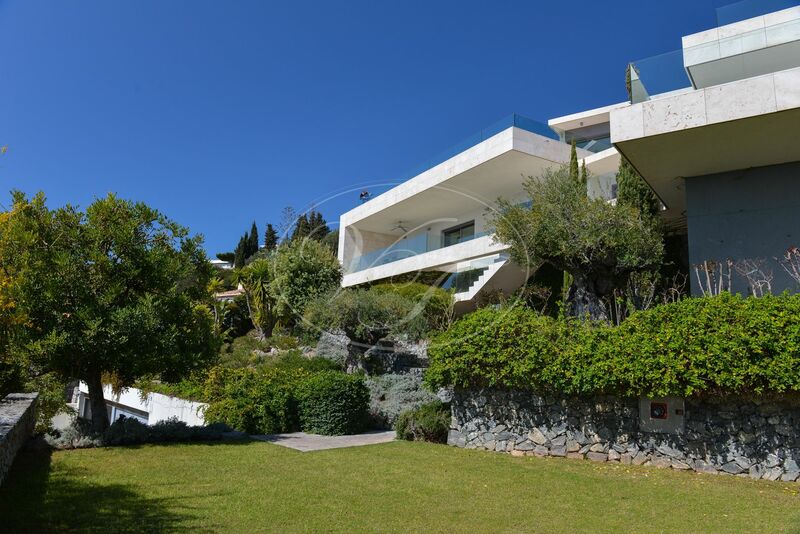 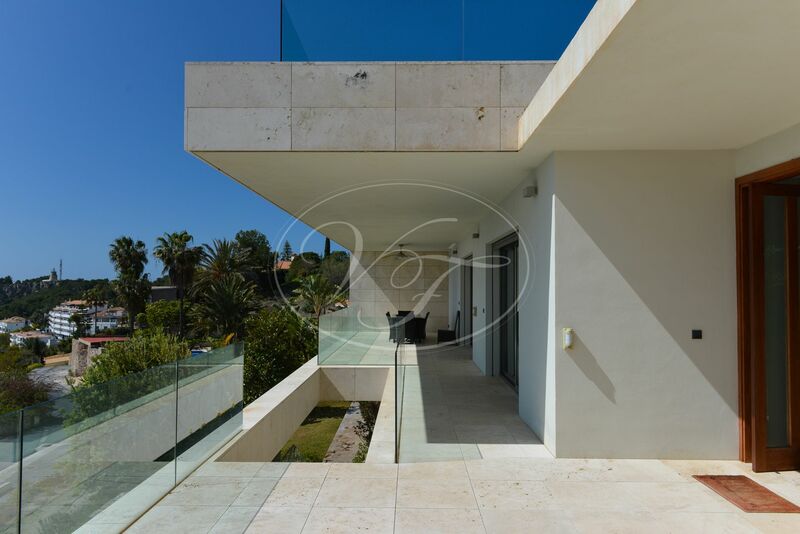 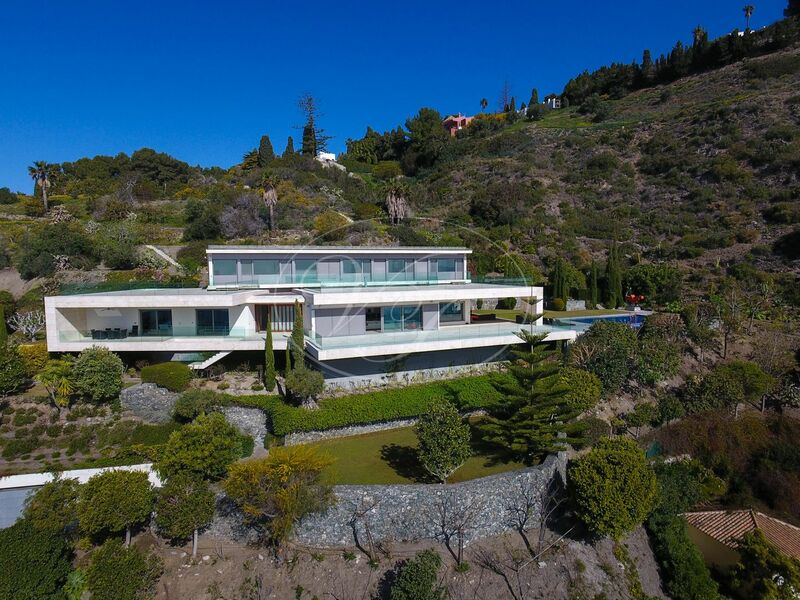 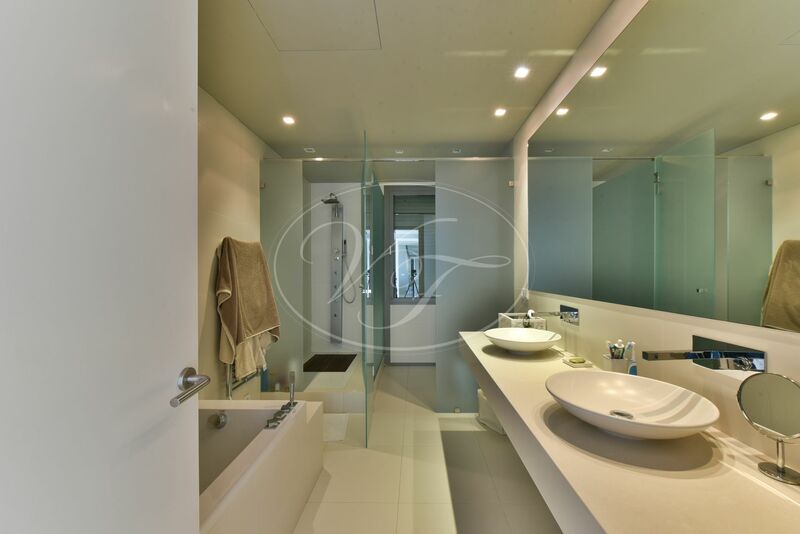 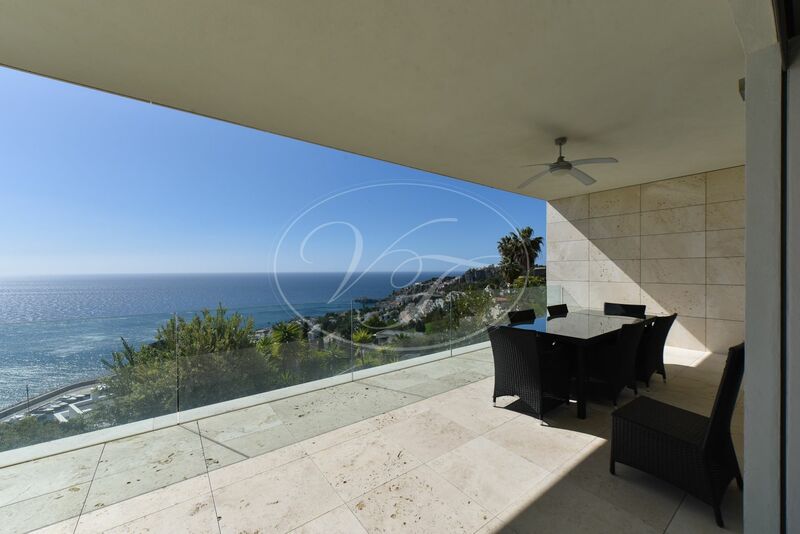 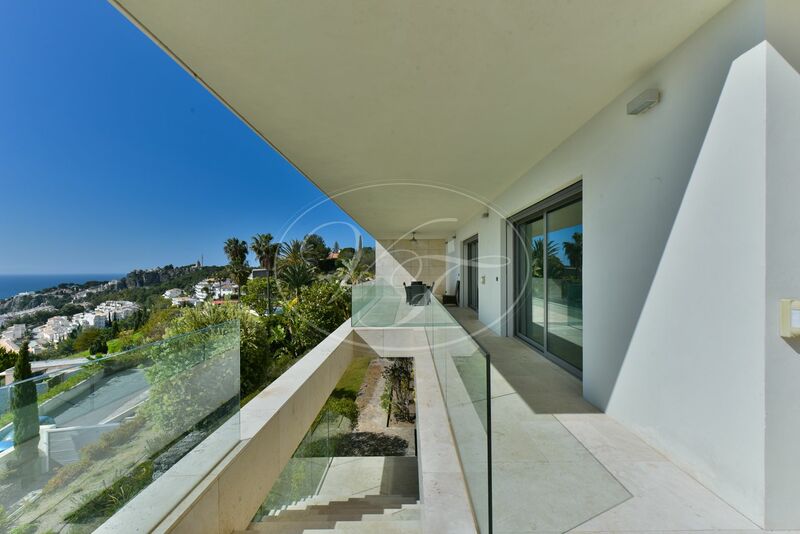 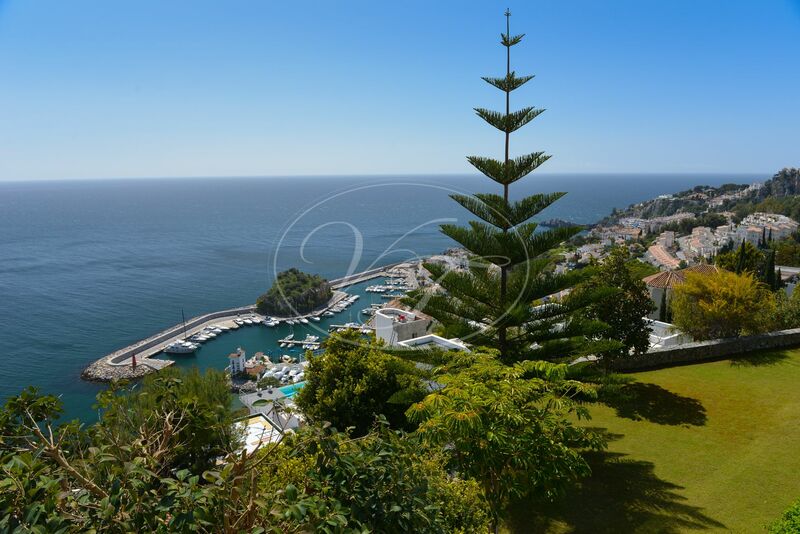 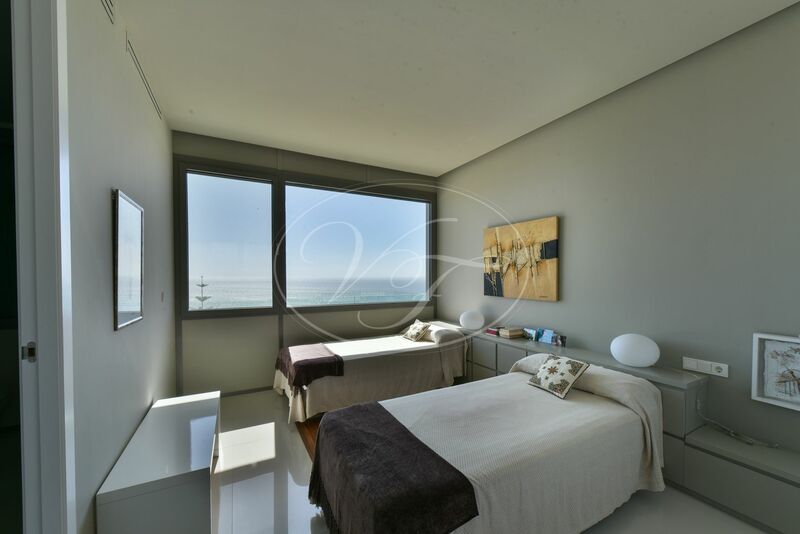 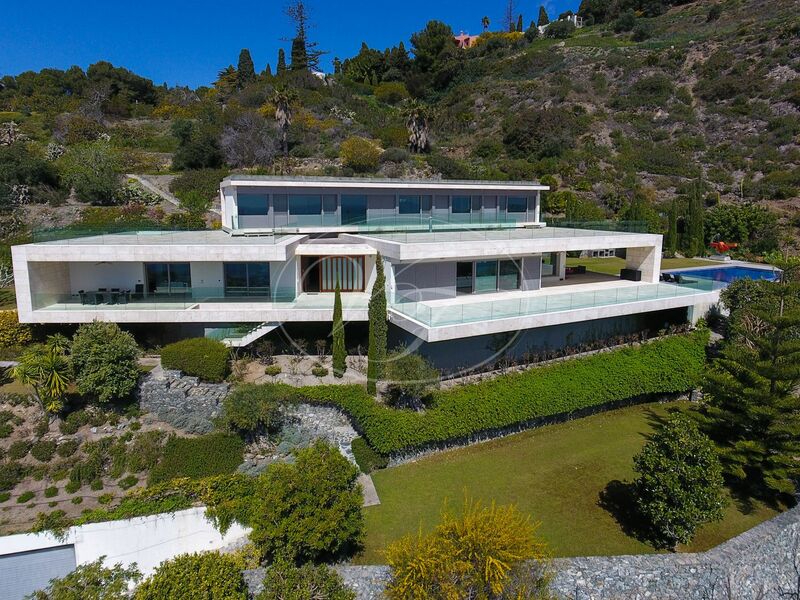 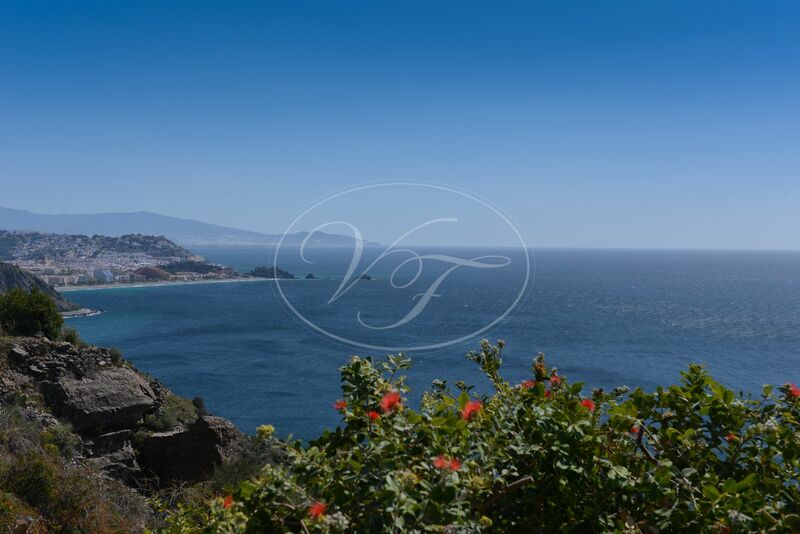 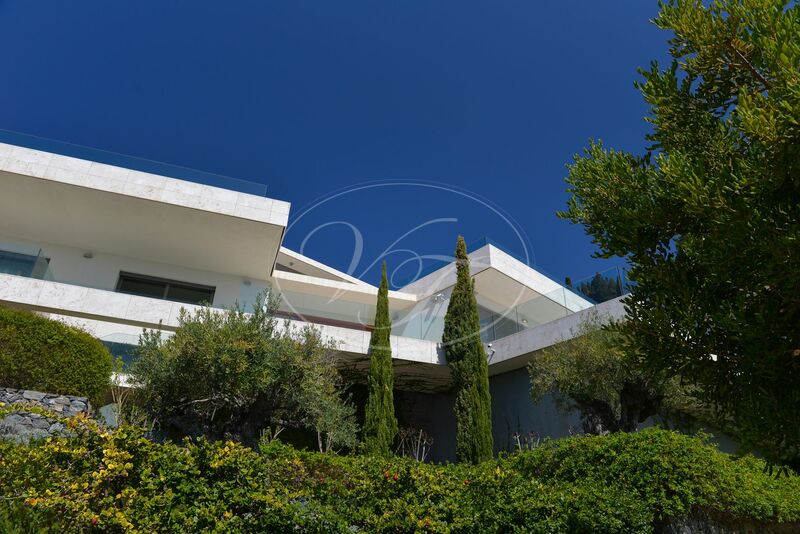 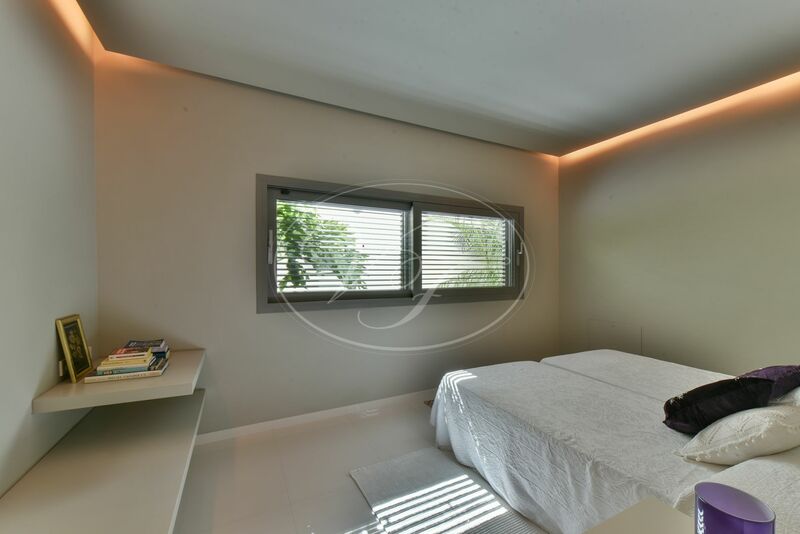 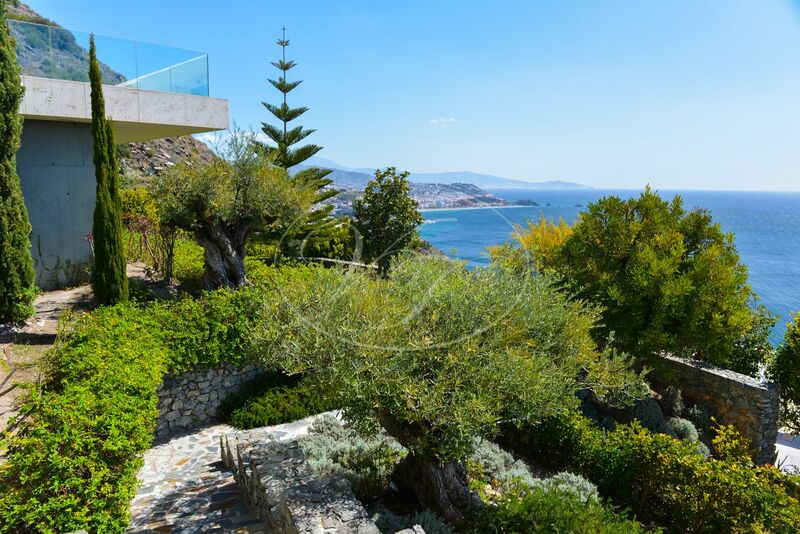 It offers fabulous views over the Mediterranean Sea and the Harbour, ‘Marina del Este’. 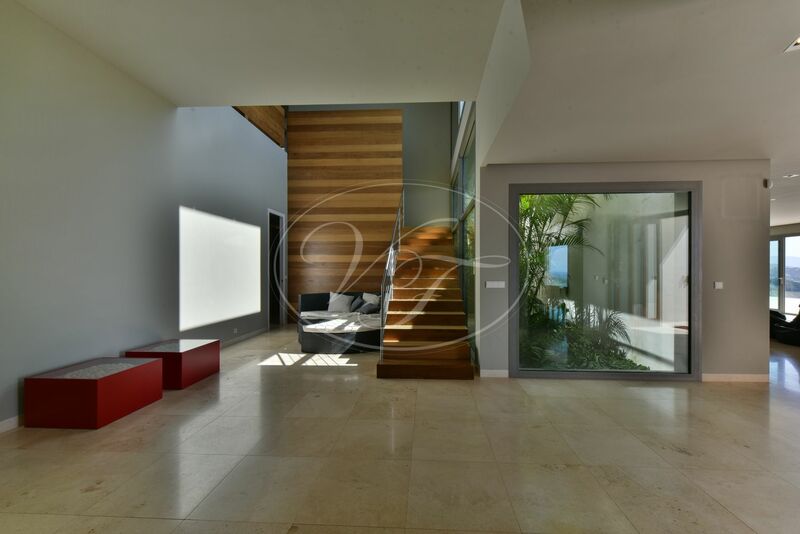 The ground floor with double high ceilings, consists of spacious entrance hallway with a tropical garden inside, two bedrooms with bathrooms, a toilet, a large dining room, a large living room, a cinema room, a spacious kitchen with utility room, a large porch with an infinity salt water pool (11.5 × 5.5 meters) and barbecue area, all surrounded by amazing chill-out terraces. 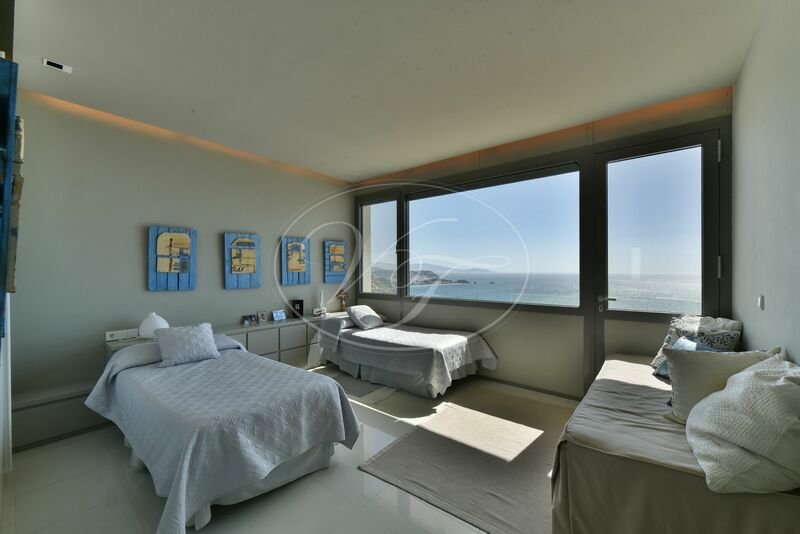 The first floor offers three bedrooms en-suite and a master suite with bathroom and dressing room, all with wonderful sea views and access to a large terrace. 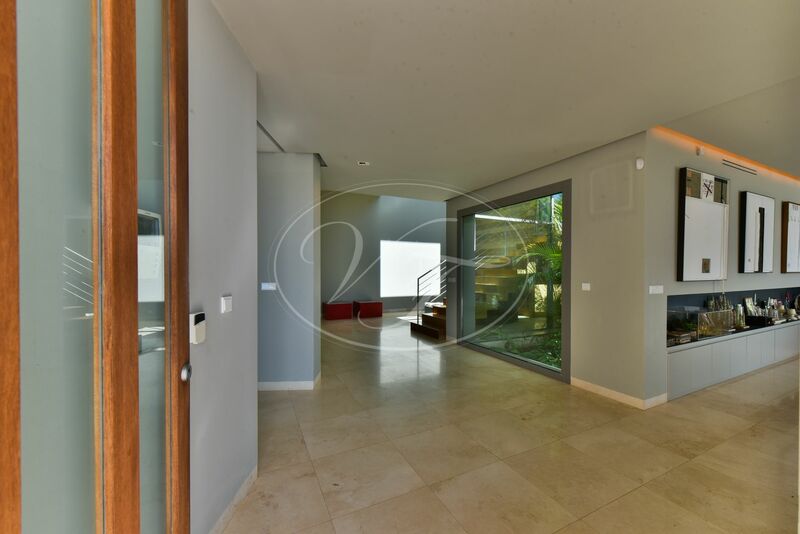 On the street level is a large garage for 4 cars, with storage and workshop. 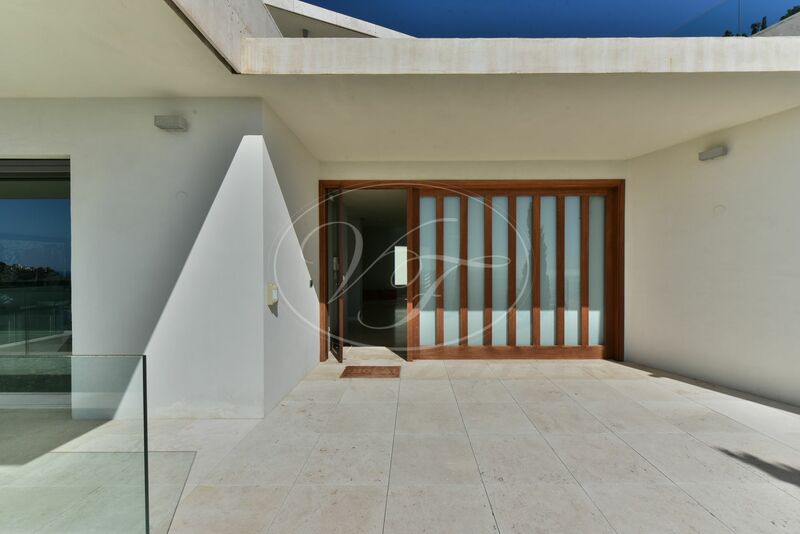 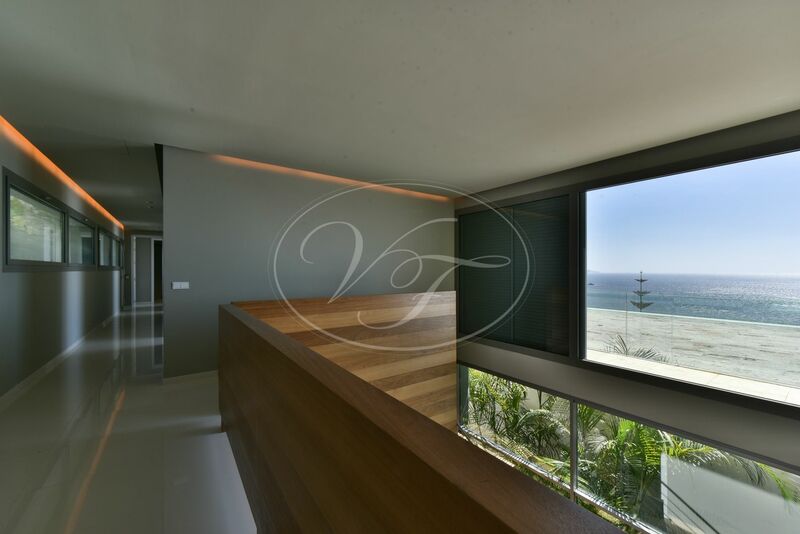 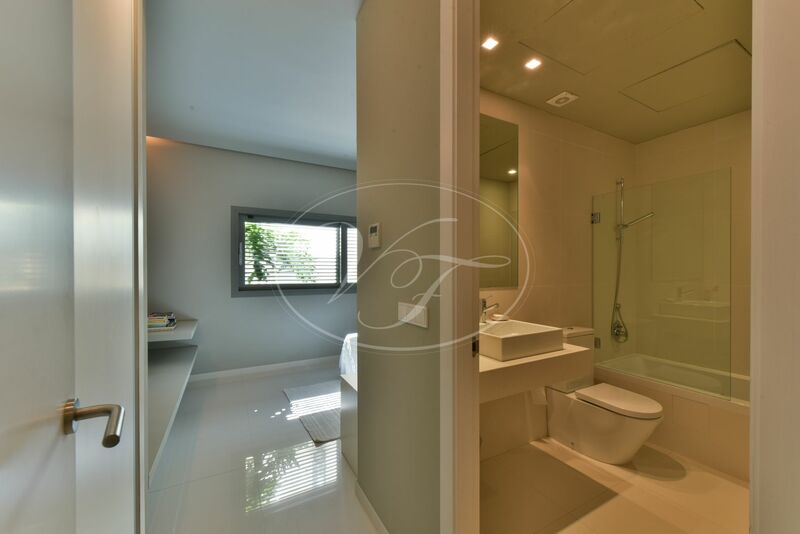 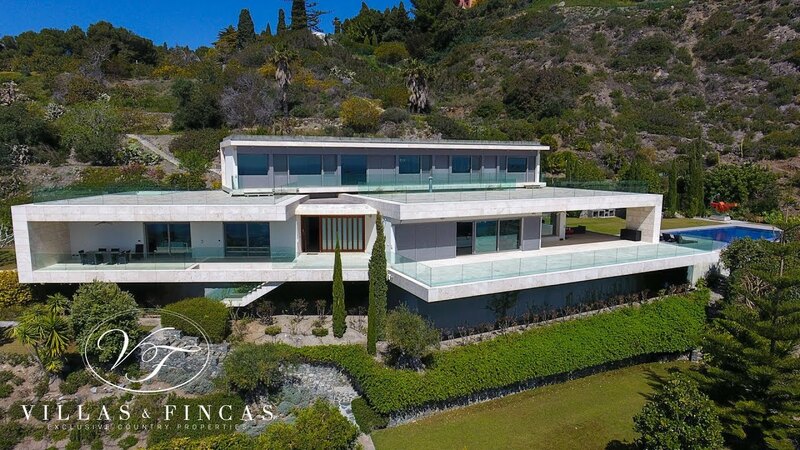 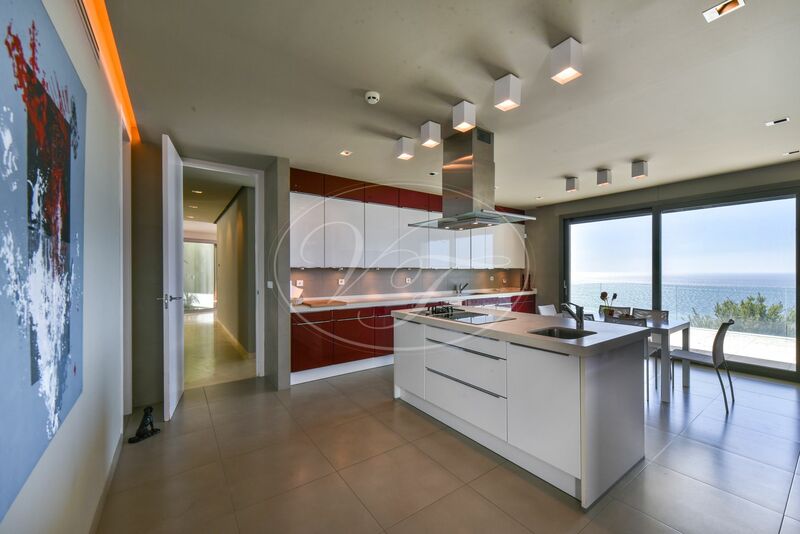 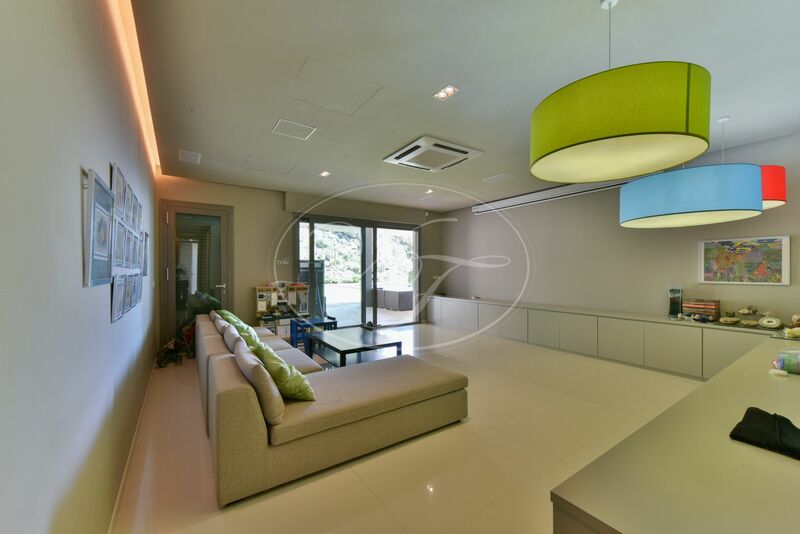 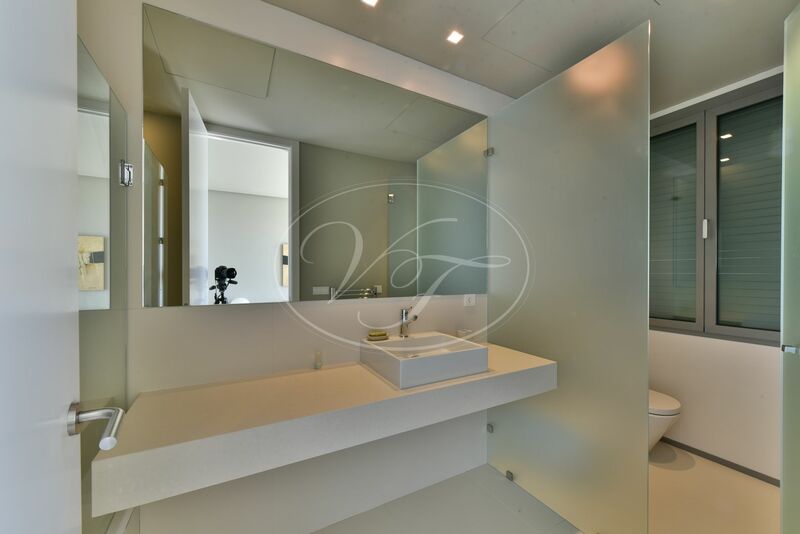 The architect used top quality Italian marble, pre-installed domestic system, automatic blinds, high-end aluminium windows and doors, designer wooden stairs, alarm, video surveillance cameras, air conditioning and underfloor heating, by a Diesel heating system. 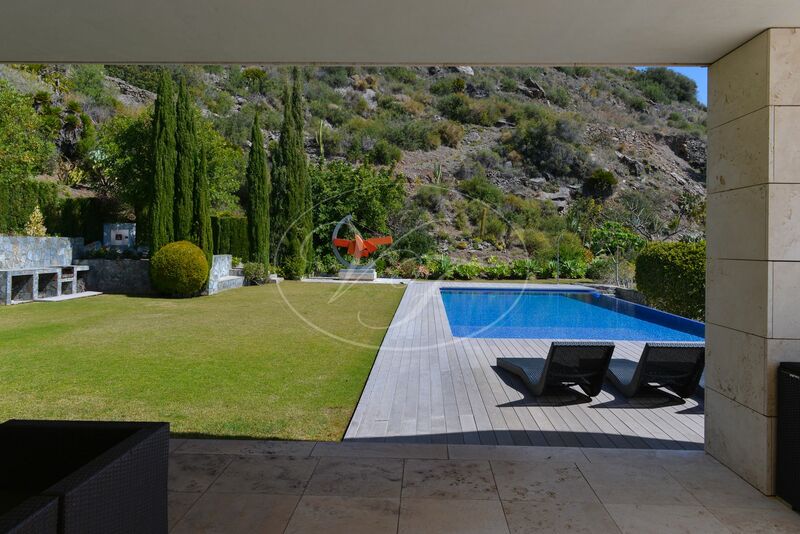 The property is close to restaurants and shops, 40minutes from Malaga airport, 40 minutes to Granada, Ski pistes. 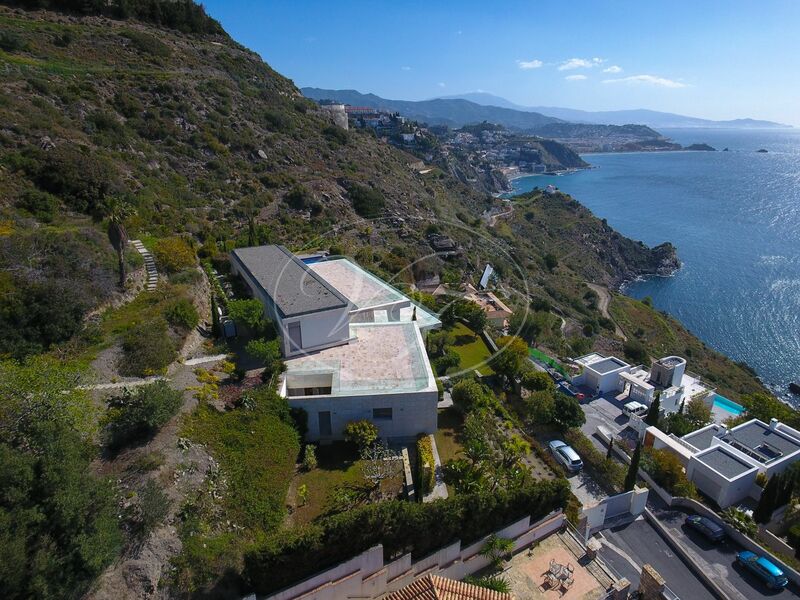 Close to the beach and Harbour, excellent Scuba diving in the bay of La Herradura. 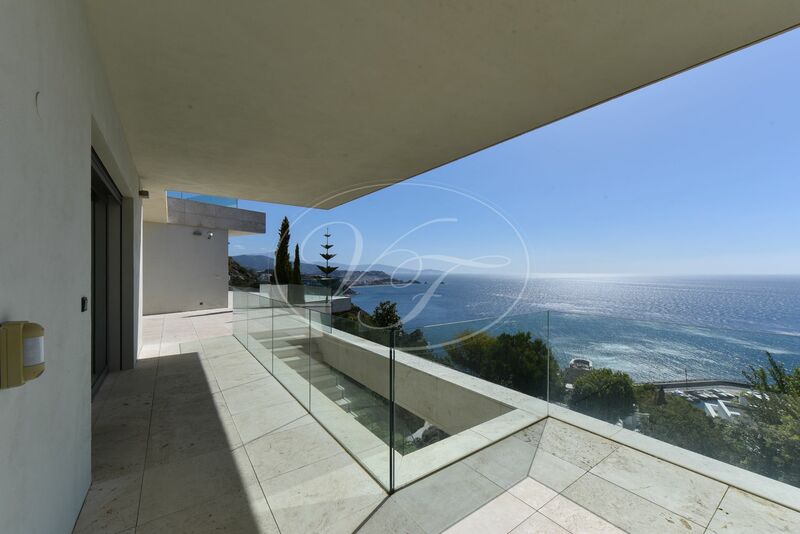 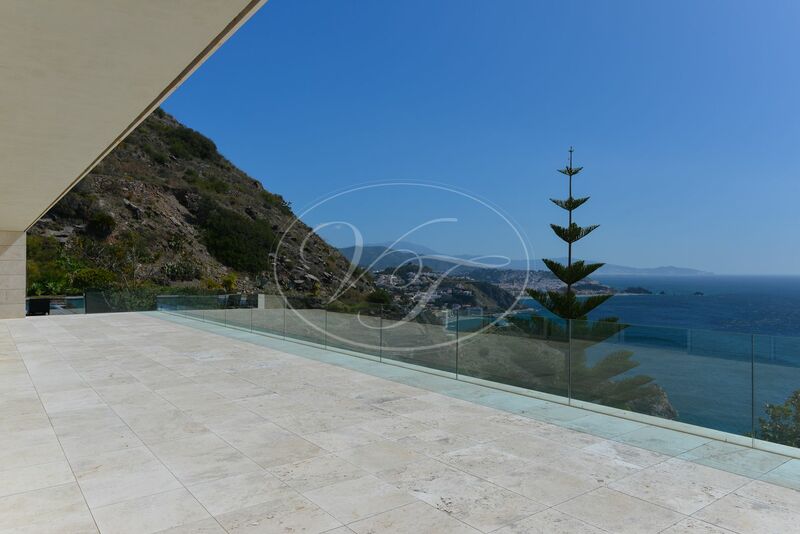 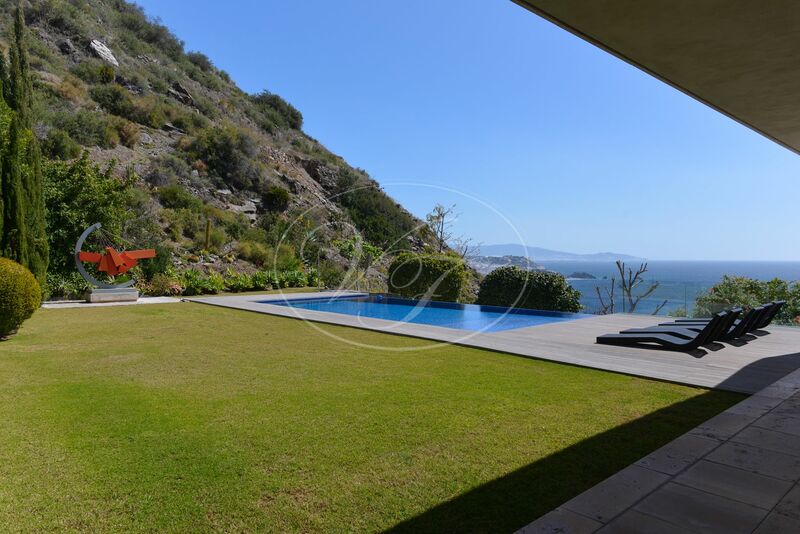 Please, send more information about ref 186-00746P, Villa in La Herradura, Almuñecar or similar properties.